Instead of the typical "Five Things Friday" post, I'm going to share with you five trends I'm loving when it comes to interior design. 1. Dark Kitchen Cabinets... They are killing me right now. I can't get enough of them! I'm just waiting for the perfect client whose ready to take the beautiful risk of painted dark cabinets. Here are a few of my favorites. 2. Striped rugs. Whether it's under a bed, in a living room, or in an entry, I love them! 3. Rod Iron Beds are another favorite of mine. They pair well with almost every style - modern, traditional, and farmhouse. They're also generally affordable! 4. Natural Wood Accents... Especially in kitchens in bathrooms! 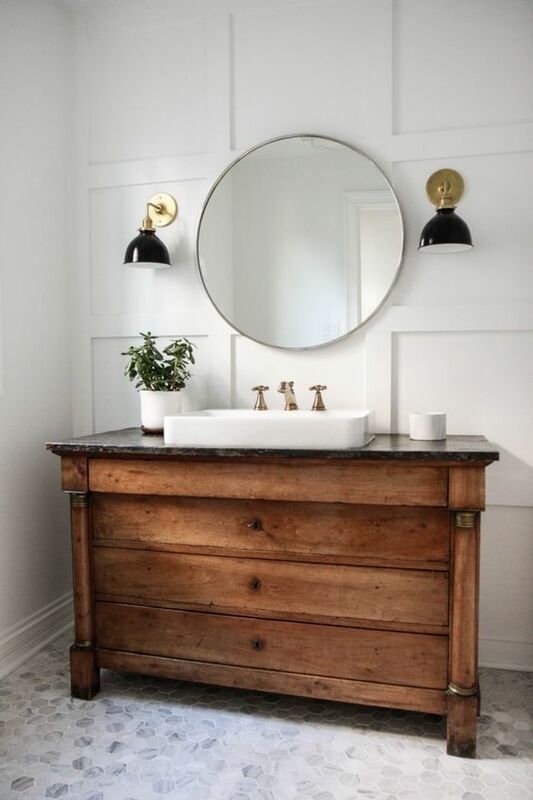 Whether it's a hood, island, or bathroom vanity, I'm loving that natural wood is back in! 5. 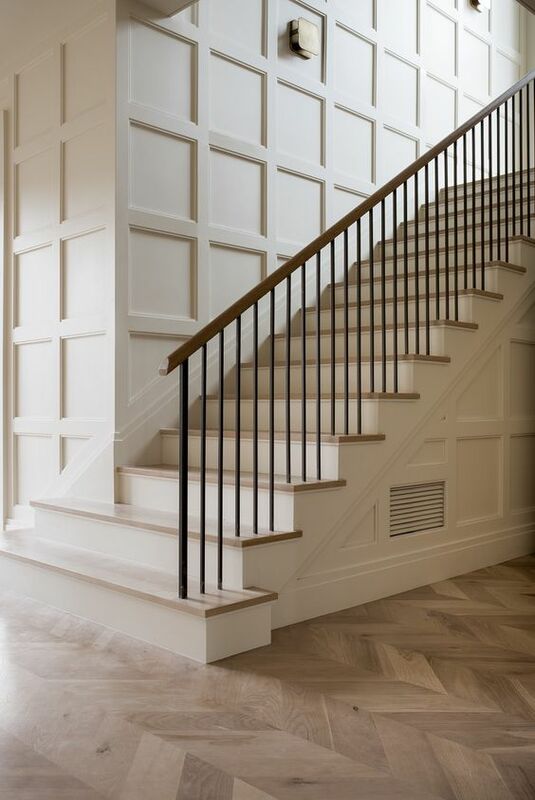 Detailed Molding on interior walls. I absolutely can't get enough of this trend! When done well, it can make any room look so much more expensive and put together. It also adds texture and really beautiful detail. It might be my favorite trend right now! We have a big install this weekend that we can't wait to share! What are your plans?